Stock prices and asset prices moving completely in opposite direction as far as real estate sector in India is concerned. 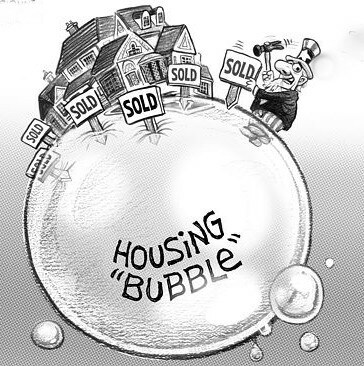 This clearly depicts the hoarding and reluctance to bring property prices down leading to inventory pile up, lower sales, defaults and eventually crash in stock prices. DLF, Orbit Corp, Unitech, HDIL, India Bull Real Estate etc are trading at almost all time low but property prices in India are at all time high. India has witnessed the sharpest appreciation in real estate prices in the last couple of years, according to data from the Global Property Guide, an organization which collates real estate data from across the world. Property prices in Delhi witnessed the steepest appreciation of roughly 60%, when compared to cities from 43 other countries. But underlying fundamentals of the sector and companies depicts a completely different picture. Few weeks back, Hiranandani Palace Gardens, a subsidiary of Hiranandani defaulted on a Rs 76-crore loan to Tata Capital. On 4th August Indiabulls Financial Services claimed that HDIL promoters had defaulted on the interest payment on a Rs 46 crore personal loan. On 6th August Economic Times has a report on Mumbai-based realtor Orbit defaulting on Rs 96 crore of loans from LIC Housing Finance. Shares of sector leader DLF are not too far from the Rs 100 price target that Canadian research firm Veritas assigned to it in March 2012, when the stock was trading above Rs 200. Realty companies have very high borrowing costs and have to pay as high as 24 percent to private financiers, and in the context of falling sales and defaults it is inevitable for realtors to bow their head against market forces and bring property prices down significantly to generate revenue and clear inventory. So far, realtors have been able to hold on to their ridiculous prices because of access to funds. But with money really getting tight, the day of reckoning may not be far for most property developers, barring the handful with deep pockets and the right connections.